How does your small to medium size retail business treat and utilize the good will of your customers? Retailer A is a boutique wine shop with several locations in upscale, suburban communities. When prospective customer A walks thru the door, she is greeted in a friendly, genuine manner. A staff member approaches after a couple of minutes, offering her assistance. She engages customer A in conversation and finds out that she enjoys big, bold red wines. She then recommends several new wines that would suit her appetite. Customer A mentions that she read about the monthly wine social club on their store’s Facebook page and was interested in getting more information. They then have an informal discussion about several of the wines carried by the boutique. The customer decides on her purchase and provides her name and relevant information to the clerk when asked. Finally, the sales clerk obtains her permission to enroll her in the customer loyalty program. This customer continues to make regular purchases at this wine shop, earning savings and discounts on her future purchases. What’s more, she engages in frequent postings about events and wine education on their Facebook page, allowing her friends to see the activity and resulting in several new community members and potential sales. Retailer B is an upscale boutique women’s apparel shop with two other locations in nearby suburban communities. Customer B walks into the shop and is not greeted at all because the two sales clerks are busy gossiping behind the counter about last night’s dates. She browses around the small boutique, seemingly unnoticed, as she searches for her favorite designer that is often carried at the shop. She finally approaches the counter to check if the store has a specific dress in her size. The clerk tells her they are currently out of stock and turns back to her conversation. She then goes online and purchases the dress from a different vendor. The kicker? One of Retailer B’s other locations had this exact dress in the size needed. If the clerk had bothered to check, they had could have shipped the desired merchandise directly to the customer. Instead, Customer B bought her purchase somewhere else, and more importantly, communicated her displeasure with Retailer B’s lack of service with several local friends. Additionally, Customer B had shopped in their boutique several times over the past years and spent an average of $500 each time. If Retailer B would have had the systems and processes in place as Retailer A, they would have been able to quickly save the sale and enhance the customer relationship by identifying the out of stock item and locating it at another location. The culture of their store would have been one of fanatical customer service. To the small and medium size retailer, a loyal customer is their best advertising. There’s no room for big budget marketing and splashy campaigns – word of mouth can make them or break them. Every customer, whether they are a happy or dissatisfied one, is an exponential tool for public relations. Did you know that acquiring a new customer costs over six times what it takes to keep an existing customer? That’s why every retailer should have a detailed strategy in place for tracking customer feedback and rewarding loyalty. The customers you currently have are worth their weight in gold. simple – concentrate on the CCR’s of customer service: Connect with your customers; communicate with your customers; and reward them regularly. Whether you run a one man retail shop or multi-location store with several POS, you should be greeting customers as they come into your establishment. Encourage your team to pleasantly address customers and make a connection with them within five minutes of walking into your shop. Re ach out and get to know your customers. Find out what their likes and dislikes are. Ask for their name and zip code when they purchase an item, allowing you to track their buying habits. Build a social networking community and engage with your clients consistently. Why is social media important? People may love your product, but will likely forget about it unless you are in front of them regularly. Remind them of all the services and products you offer. Inform them of special events. Give them information so they can become a loyal evangelist of your business. An SME’s size allows for flexibility and quickness in its ability to gather customer feedback and react on a timely basis. Reach out to your customers to find out what they like and don’t like about your operations. Are you able to special order an item that a frequent customer would like? You may want to consider the cost versus its benefit, as that satisfied customer will likely tell five friends about your individualized service, which will ultimately snowball into great PR for your business. Encourage customers to provide negative feedback along with praise, then deal with it quickly. Tools such as the company Facebook page, customer conversations, and requested feedback from after-sale follow ups can allow you to gain great insight into what they want, as well as what is working in your business. Respond to each negative comment constructively and quickly, as your customers will value your response. Track customer buying habits and proactively inform them about upcoming sales, new merchandise they might like, and special events. Are you rewarding your frequent customers for their purchasing loyalty? If not, consider that a large portion of your business is derived from repeat customers. They obviously like your operations – and if they know they will receive regular rewards and savings by continuing to be loyal, why would they go anywhere else? Be careful, though – if your business doesn’t have a methodical system for tracking customer purchases, you may unknowingly omit loyal customers who aren’t as visible to your staff. Is the quiet shopper that comes by twice a year and spends $600 on each occasion any less valuable then the frequent visitor that spends $50 a month? Your staff may be more familiar with Customer B, who stops by the store weekly and makes small purchases. 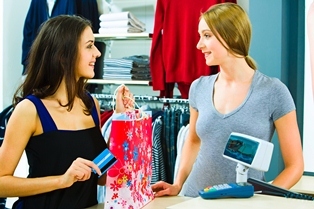 Forget about that infrequent regular shopper who isn’t familiar to your staff, and you risk engendering hard feelings. Word travels fast in a community. Having a retail solution that tracks this data seamlessly for your business eliminates this problem. It’s also integral to make sure there is a policy in place for obtaining a named customer with each purchase. The iVend Retail Management Solution, along with the iVend Loyalty solution, has the functionality that allows you to track important data about your customers so that your team can utilize it to make better use of their sales and service efforts. 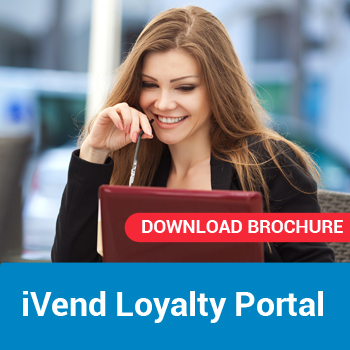 The iVend Loyalty solution gives you the capabilities to reward your valuable customers at every level and allow them to interact as well. Fanatical customer service can only happen when supported by proper systems and processes. Are your systems enabling your staff to create that bond with your customer base? If the answer is NO and you are looking for a solution write to us on info@citixsys.com, we have a solution for you. The ability to consistently attract shoppers into your retail establishment and then convert them into buying consumers is the lifeblood of any retailer. Hopefully, along the way they’ll also end up buying more than initially planned. But as a rough economy and the internet continues to decrease the amount of visits a consumer makes to brick and mortar stores, conversion rates become even more imperative. The advent of online retail and smart phones, while enabling the consumer, has created more challenges for traditional retailers already facing difficult economic times. And the small and medium sized retailer is even more sensitive to this issue. The term “mission shoppers” has been coined to describe Web-savvy shoppers that enter a store with a purpose – they head directly to their intended purchase and leave without browsing. They’ve already used the web to investigate and analyze the goods. This is especially impactful for retailers dealing in name brand commodities like electronics, luggage, and appliances, but it will have an effect on every business. Another potentially damaging effect of online commerce is the ability for a consumer to research the desired item in a brick and mortar store and then make their purchase online for the best deal. Many shoppers still desire that kinesthetic aspect of touching, seeing, and trying on merchandise before they purchase it. They’ve essentially used the store as an investigative tool but let price be the deciding factor in where they make their purchase. Fortunately, many consumers still appreciate the individualized service one gets from an independent retailer, as evidenced by the success of American Express’ 2nd annual Small Business Saturday. The following strategies, when implemented consistently, allow your retail business to integrate the technological practices of large chain retailers with the personalized service of a small business. 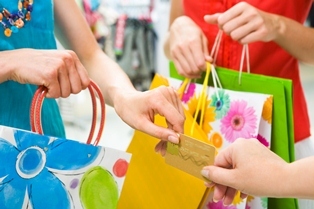 Help your “mission shopper” find what they are looking for quickly and efficiently. What if your customer wants a certain brand of luggage in a color that you don’t currently have in stock? In the time it would take your staff to call around to other stores, your savvy shopper has likely found the item on the internet, using their smart phone, in the color and style they desire. With the iVend retail management solution, your staff can locate inventory available at any of your locations quickly from their POS terminal, thus saving the sale and impressing your customer with their fast and efficient service. You can offer flexible payment plans such as layaways to your customer. While they may save some money by buying the desired item online, they need to pay for it immediately and then wait several days to receive this item. Your staff can use iVend’s layaway feature to entice consumers to purchase without having to part with their cash immediately. Layaway terms can be arranged to fit the customer’s needs, allowing your staff to upsell items and increase sales. Many large retailers are bringing back layaways for the holiday shopping season. Your staff can recognize and reward frequent and loyal customers easily. 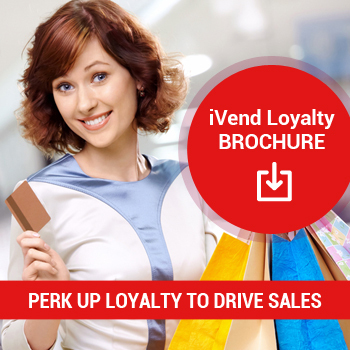 Our iVend Loyalty solution allows you to track your customer’s buying behavior and assign loyalty points, etc. Staff can use this to reward the frequent customer with discounts, gift cards, and more. 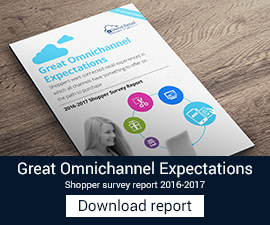 Consumers who shop at small to medium sized stores generally appreciate the recognition and relationship they establish with the retailer. Why not reward them for their loyal behavior? Make real time pricing decisions if needed. A friend of mine recently was in the market for a new television. He was the true mission shopper – after researching various brands and finding the best price online, he then asked two local retailers if they’d match Amazon’s price, which was $30 less. One savvy retailer quickly matched it and then threw in free shipping and removal of their old tv. It’s no wonder that this independent brick and mortar retailer has consistently done well, even though their prices are higher than most chain stores. iVend is a complete end to end retail management solution that allows you to analyze and react in real time. Together with your personalized service and business savvy, the small and medium sized retailer can easily turn browsers into loyal buyers. CitiXsys conducted a webinar on 5 ways to manage and enhance customer loyalty on 29th Sept. and it was a resounding success. The topic and discussion on Customer Loyalty is quite pertinent – more so after the businesses, especially retail have come out of serious recessionary times. As much important is to acquire new customers, it is equally important, if not more to retain the existing ones. Cost and the time value of money required to acquire a new customer is over 6 times more than what is required to retain an existing one. Customers who are loyal are happy customers. In today’s world where Social Media is an integral part of one’s being; it very soon transforms into evangelism. A happy customer narrates his experience on his social network and soon the experience/testimonial becomes viral. The webinar also discussed different techniques and ways by which customer retention can be managed and enhanced. The one important building block is to have an integrated loyalty and customer management system – A system that is tightly integrated with the other operational processes for example retail, customer support, finance, sales and logistics.